UPDATE 2 — Warrington-based Eddie Stobart Logistics plc said on Thursday new contract wins helped its revenue grow 35% to £843.1 million in the year ended November 30, 2018, with pre-tax profit soaring 138.4% to £23.6 million. The company said last April it could eventually drop the iconic Eddie Stobart brand name. 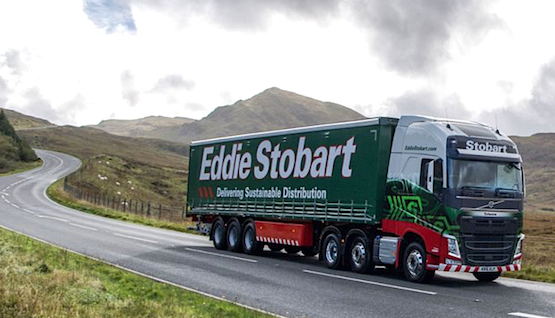 Eddie Stobart currently pays its former parent Stobart Group royalties for using the name — but it has acknowledged that dropping the name once the existing agreement ends in February 2020 is a possibility. On Thursday it said: “We remain committed to evaluating all of our options around our name and leading brand. “We have engaged with a brand specialist and talked to customers, shareholders and employees regarding our brand and their perceptions of the value it brings. Eddie Stobart CEO Alex Laffey wrote: “Our strong performance is evidenced by the revenue increase of more than £200 million (35%) achieved in the year including, on an annualised basis, £162 million of new contract wins plus £119 million of contract renewals. Laffey added in a statement: “We were pleased with our strong performance in 2018, during which we made significant progress in delivering our strategy of becoming a full-service logistics and supply chain organisation. “We continue to develop our end-to-end supply chain capabilities and in June acquired The Pallet Network, which gave the group a presence in pallet distribution across the UK and provides cross-selling opportunities to serve our customers’ growing needs. “All of our acquired businesses traded in line withexpectations during the year and delivered their planned synergies. “Whilst we remain mindful of the current political and economic uncertainty, we are confident that our unique operating model provides us with the flexibility to respond rapidly to changing market conditions.